The species was first described in 2019 based on molecular and morphological evidences. Small to medium sized crayfish, rarely reach 10 cm in total length. 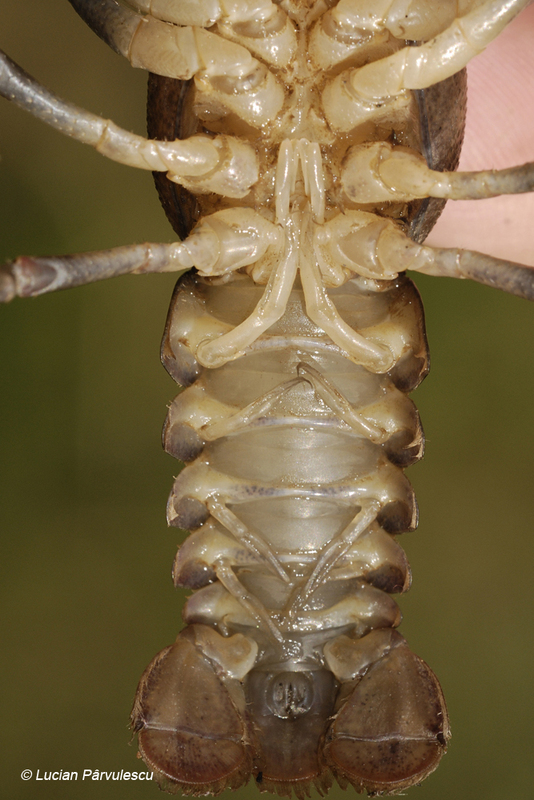 The carapax is smooth, the dorsal color of crayfish is brown, its ventral side being brighter. 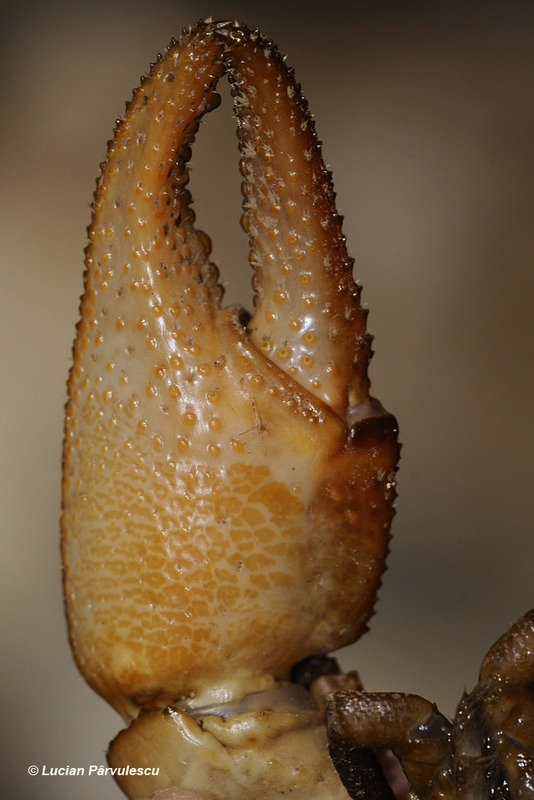 The ventral side of claws are dirty white with tones of orange. The rostrum is triangular with a discrete median carina, often having a bell shape. The apex is short. 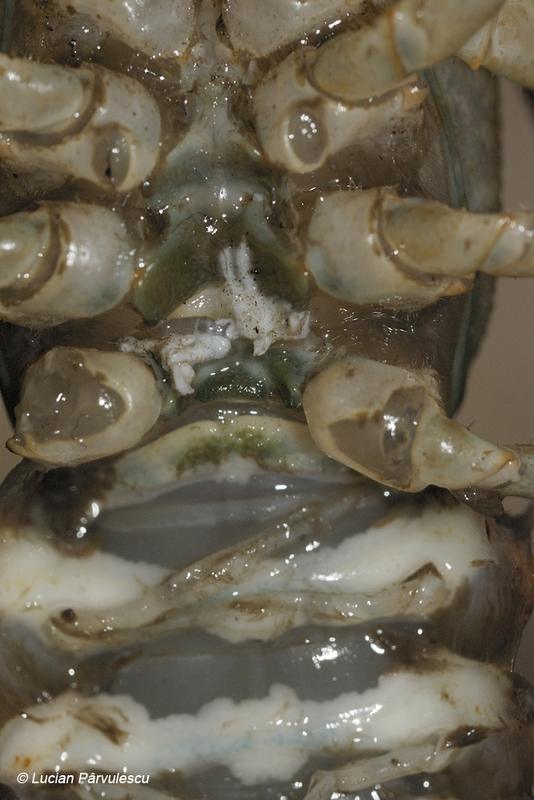 The crayfish have one postorbital ridge, without spine. The cervical groove is sooth. 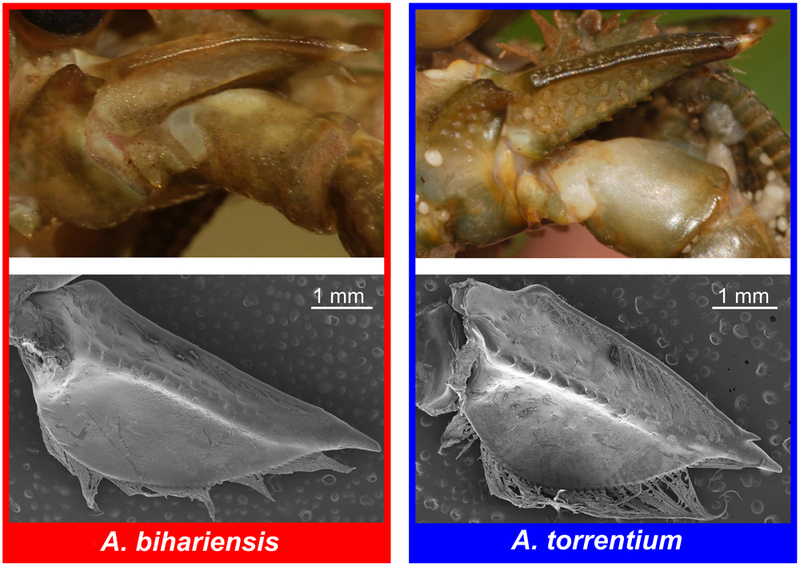 The most important feature to distinguish between Stone Crayfish is the lack of denticulation on the ventral edge of the antennal scale. The claws are robust, with fewer and larger tubercles on their surface in comparison with its relative, the Stone Crayfish . Endemic for Romania, its areal is strictly limited to the western Apuseni Mountains. It was hypothesized that the species originate form north of Dinarides, during the Miocene (ca. 15 m.y.a.) a population of its ancestor being isolated and due to a tectonic displacement reaching the actual position. For a period of about 11 m.y.a. it was supposed the species was completely isolated due to the evolution of Pannonian Basin. Currently, the species inhabit the tributaries of Criș rivers. Abundant populations were found in Crișul Negru and Crișul Repede tributaries. For map, visit the distribution page. 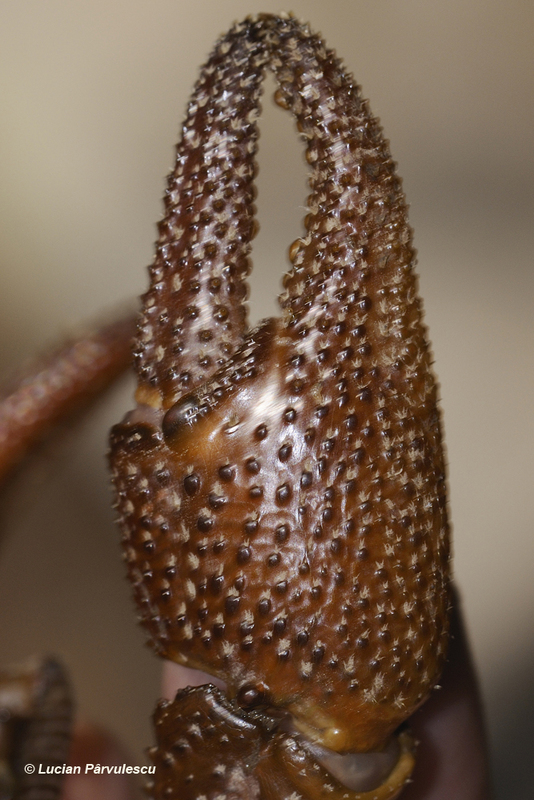 The males have often longer and stronger claws than the females and the abdomen is larger at the females. In order to precisely distinguish the males from the females, especially when are young, one may verify the sternal plate and the pleopodes to be sure. 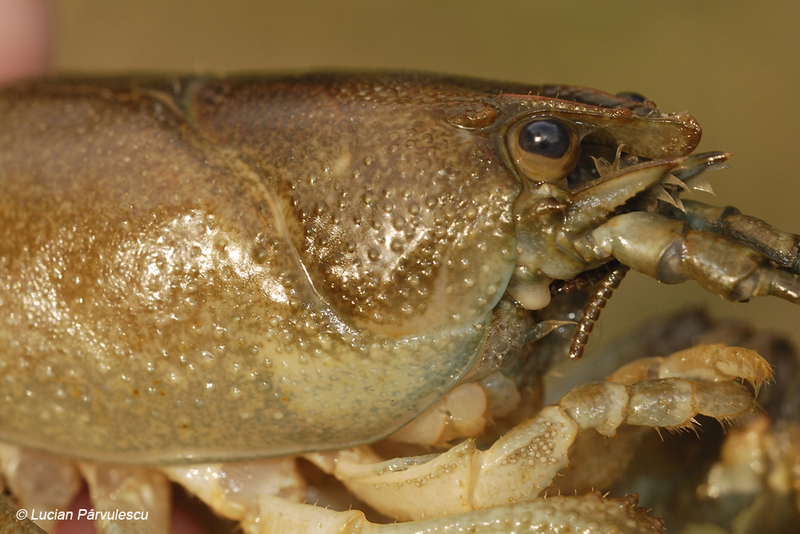 Male crayfish have the first two pairs of pleopodes strong and oriented towards the front (for the transfer of the spermatophores) while the female has all the pleopodes equal. The shape of the first two males pleopodes usually is an important criteria to distinguish it from similar species, so that the first pleopod (Pl. 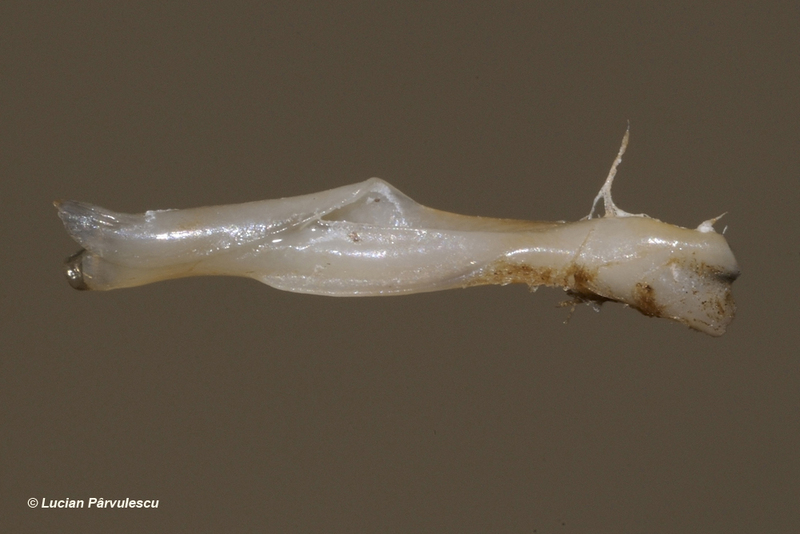 I) has the distal lobe almost 1/2 of the total length while the second pleopod (Pl. 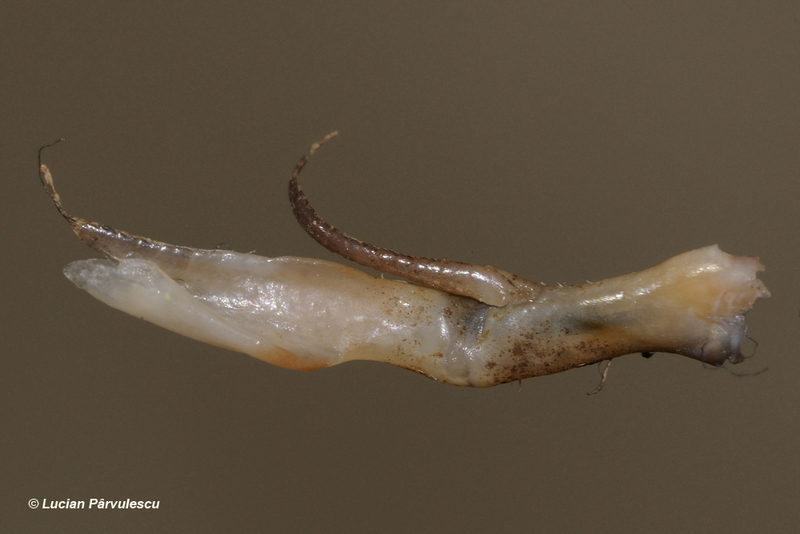 II) has the exopodit no longer that 2/3 from the endopodit length, the distal lobe of the endopodite being almost 1/2 of its length. Recently described, the Idle Crayfish is not rated by any specific legislation in order to obtain conservation status. Still, the species are under the umbrella of its relative, the Stone Crayfish. Thus, „highly protected” conservation status apply until the new species will get an appropriate assessment. The Idle Crayfish prefers small to medium rivers and streams, but occasionally can be found in caves by floods. It usually digs in river sores or stay behind rocks, boulders or roots. Mostly nocturnal, eat almost any kind of food items, juveniles predominantly being carnivorous whereas the adults are vegetarians. Highly sensitive to water quality, one of the most important encountered problem is the urbanization and regularization of streams. Natural enemies are the fox, wolf, bear, badger (for the adults), fishes being the main threat for the juveniles. 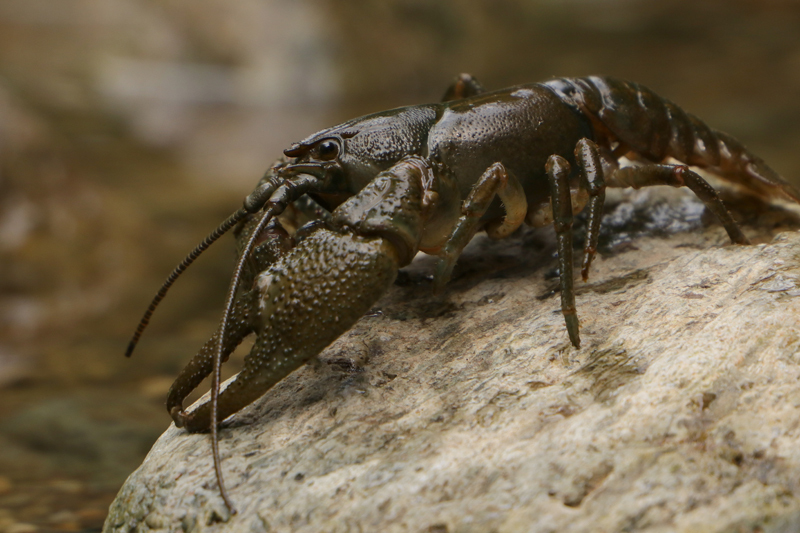 The invasion of the North American crayfish species represents a real threat for most of European crayfish species, being the carriers of the oomycet Aphanomyces astaci. Ectosymbionts, such the branhiobdelides are frequently found on the crayfish carapax. This crayfish mate during autumn, at the end of October. During this period, white spermatophores can be observed on the sternal plate of the female. 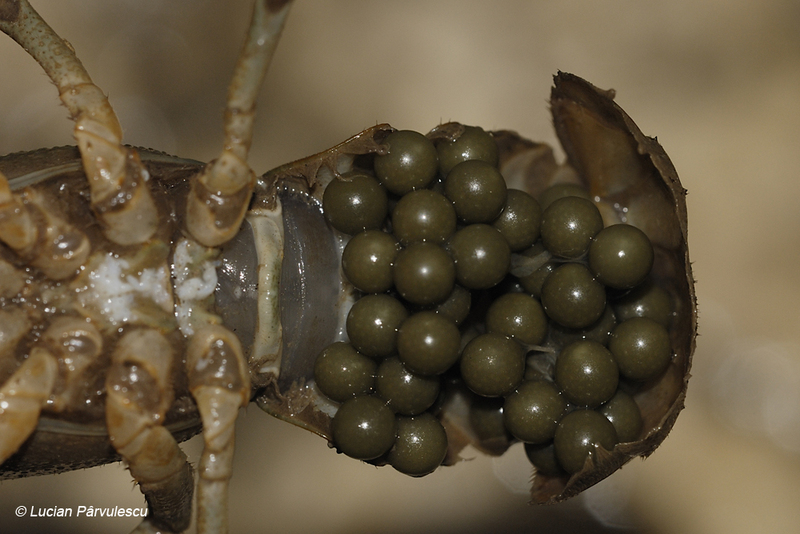 The clutch contains a number of 40 to 70 eggs and it is carried by the female between the the pleopodes until the juveniles become independent. For appropriate embryonic development, the water should be around of 5°C. The success rate ranges from 10 to 70% from the total laid eggs. 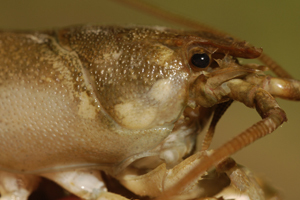 The molting is more frequent in young crayfish and juveniles (up to 4 or 5 molting per year), while at the adults molt twice a year, usually between Mai and September. 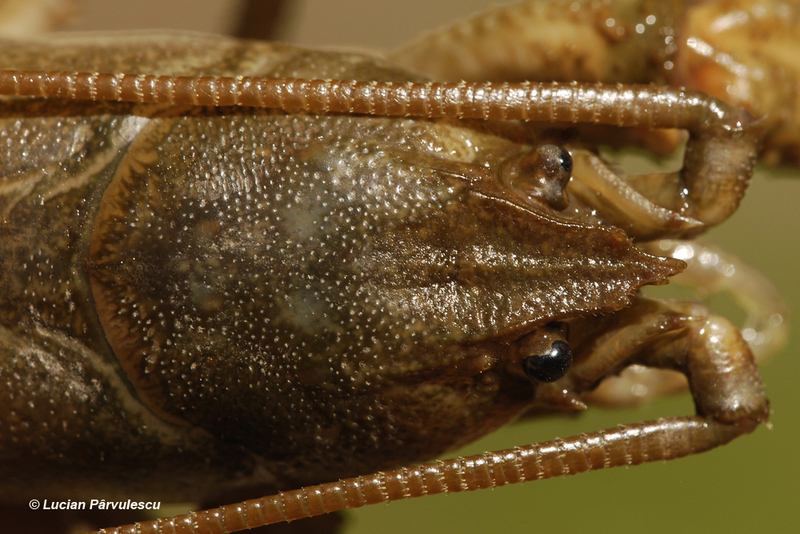 The next couple of days after this period of molting (losing its exoskeleton) are very critical for the crayfish because it loses the protection and can be easily attacked by fishes or even by other crayfish. 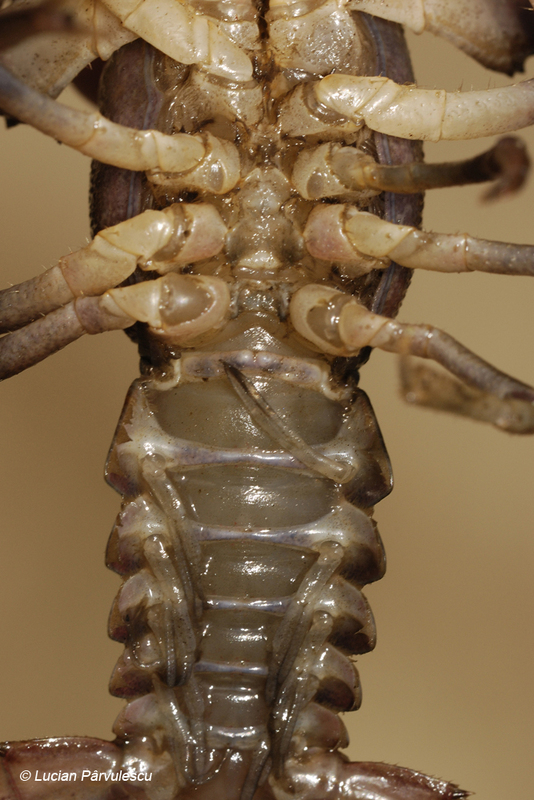 By molting, the lost appendages can regenerate but usually appears smaller. The sexual maturity happens in 3 or 5 years, at 35 - 50 mm in total length. The males can fertilize eggs each year while the females remain sexual inactive one or more years after one laying. Holotype (male) and paratype specimens (male and female) were collected from Damiș, Bihor County, Romania. They were donated by the author to „Grigore Antipa” National Museum of Natural History: holotype voucher number DCP829, paratypes voucher number DCP830 and DCP831.